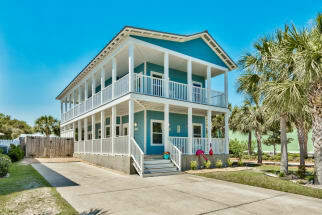 Welcome to vacation rental properties at Crystal Beach! This beautiful area consists of a variety of luxurious properties. Crystal Beach is an awesome place to vacation, a fantastic location, a number of benefits, gorgeous properties and a relaxing vibe! 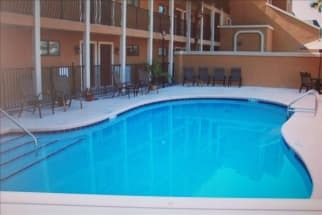 These rental properties are right near the beach and provide easy access to all things to do in Destin, Fl. While of course, you will enjoy where you stay and all the features of it, you must check out the area as well! Whether you stay in a condo or beach house, you'll love it! There are so many things to do in Crystal Beach, a week here might not be long enough! Around here, people love to go golfing, race go-karts, rent jet skis, mopeds and golf carts! When it comes to having fun around the beach, play sand volleyball, go deep sea fishing, parasailing, paddle boarding, diving charters, helicopter tours and so much more! As for the food down here, you're in excellent hands! There's an abundance of delicious eateries specializing in both seafood and traditional food also providing excellent drinks and service. 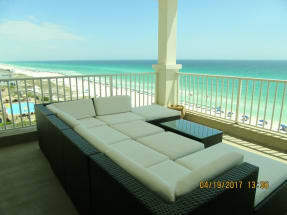 Now is the perfect time to book your next Crystal Beach Rental on Emerald Coast by Owner. 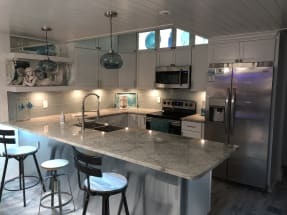 When you book with Emerald Coast by Owner, you are booking your condo or beach house directly with the owner or manager. Each vacation rental listing will have an Email Owner button and phone number. We hope you enjoy your time at the beach!